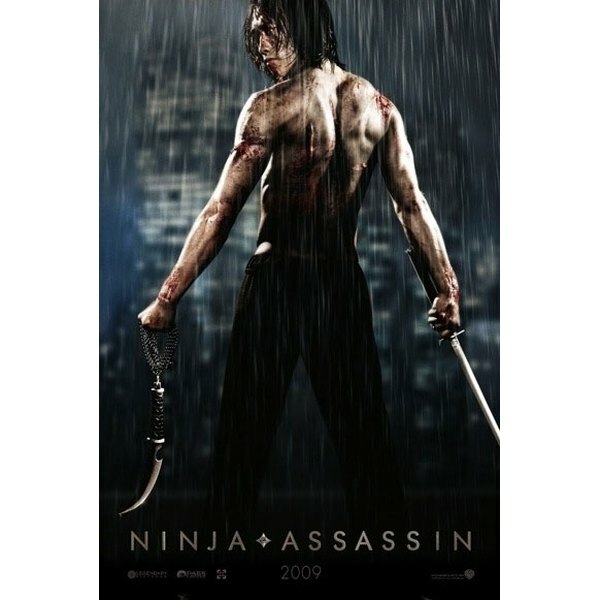 If you've seen Ninja Assassin or any of the promos for it, you've no doubt taken notice of Rain's ultra-ripped physique, and wondered, "How on Earth did that skinny boy-bander get so ripped?" To transform his body for the role of "Raizo," Rain trained relentlessly for a year, and eliminated all junk food from his diet. Rain did type of workout called "circuit training," similar to what the actors in 300 did. You don't need much equipment to do this type of workout. If you can't afford to go to a gym, a pair of dumbbells with adjustable weight and a pull-up bar should suffice. So either join a gym, or run up to the department store and get your equipment. To perform a circuit routine you need to move from one exercise to the next without resting. One complete circuit should push you to your limit and leave you fatigued. So plan out a circuit you know can do and will push you to your limit. For example, if you're moderately fit, a good circuit might include: 25 pull-ups, 50 psuh-ups, 50 squats, 25 curls, 25 military presses, 25 leg lifts, 50 crunches, 50 bent over row, and 50 dumbbell bench presses; using a pair of 25 - 30lb dumbbells. Every other day, perform your circuit 3 - 5 times. Each time, try to increase the intensity and vary things up a bit. Next you need to focus on pure cardio. On the days you don't perform your circuit, perfrom cardio exercise in intervals for 30 - 45 minutes. Do this by jogging at about 50% and then increasing to 95%, and then back down to 50%, and so on. This will burn more fat and build more muscle than jogging at a steady pace. Of course, you will also need to modify your diet. Rain said he only ate chicken and vegetables while training for Ninja Assassin. One would assume his chicken was broiled and vegetable were steamed. He also eliminated all sugar from his diet; not some sugar, all sugar. If you're a vegetarian you can substitute chicken with tofu or egg whites. Dedication is paramount! You should begin to see results within a few weeks to a month, but don't stop there, keep going! Be careful not to over-train. If your body is not recovering between workouts, you're doing too much and you will actually lose muscle. Just focus on what you can do and gradually increase from there.